Can you reduce our cost-per-acquisition by one hundred percent? Can we spend one million dollars next fiscal year and expect to improve our results? We need results by next month, can you accomplish this task? Can you do all of these things simultaneously? These are real questions we hear from prospective clients. They are great questions at heart, but do they really have answers? I mean real, honest answers. In the search department at LunaMetrics, we’re not in the business of making any guarantees. We wish we could but that’s just not our style. We are in the business of making data-driven decisions and using that information to guide you toward the best possible strategy to help accomplish overall marketing goals. My first reaction to these sort of questions is almost always to ask additional questions in response. Is the data trustworthy? Is it clear how marketing channels work together? How can attribution add insight? Paid search is far more complex than many CEOs or Marketing Directors are willing to accept. Sometime a little tough love is in order. Given the dynamic nature of the internet, the way that people use search engines, and the way that any given website is designed, any guarantee regarding a reduction in cost per acquisition, whether its by 1% or 30%, would be misguided and does not set expectations in any appropriate manner. Q: Can we reduce cost per acquisition by 30%? A: Possibly. Probably. But in achieving this goal, we might lose out on total conversions. We want to make sure that we are maximizing potential based on various metrics to achieve the most profitable performance. Q: Can we do it as we simultaneously increase spend by 440%? A: Probably not, at least not right away. That’s why testing is important. To increase your spend by this level, we will need to add a tremendous amount of keywords and expand the targeting scope. This will naturally require an equally tremendous amount of research to find the most effective keywords. Q: And, can we achieve all of these goals and be done by next week? A: Not a chance in hell. Paid search is not a set-and-forget channel. It takes both an investment of time and money to achieve the best results. 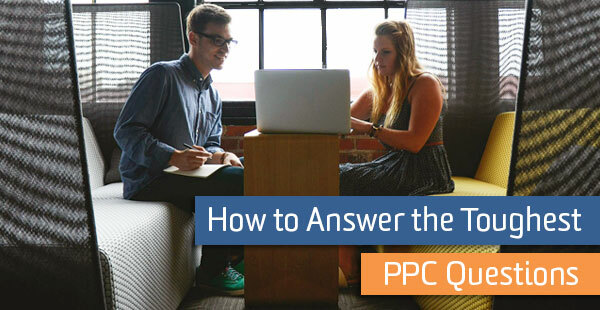 Completing one objective in PPC will almost always impact another. It’s really a matter of properly balancing your goals to find a complete strategy that meets, or comes close to meeting, the “ideal” scenario you have in mind. How should I view my data? What matters most is that you are interpreting your data correctly from the start. Sure, you have lofty goals for your business and that’s okay; however, maybe it’s time that you take a step back, broaden your view, and gain some new perspective on what the paid search channel actually does for your business. We are here to build a strategy based on proper data attribution. We know from our experience that your approach will vary dependent upon your product or service. Investment banking is not the same as custom tee shirt design. Real estate sales does not equal medical services. Industrial product manufacturing is dramatically different than higher education. If you don’t believe me, believe these Google attribution studies. I mention these examples specifically because I have worked in all of these sectors, and the truth is that none of the strategies implemented here are remotely similar to the next. Tactically-speaking, there are similarities in how we optimize the accounts using match type optimizations, geographic targeting and the like, but the overall strategy is always dramatically different from one client to the next. Formulating a strategic approach requires proper understanding of existing data as well as the target audience. In many of these examples there are always multiple touch points on the path to goal completion. If we ignore that one fact, we are doing your account a disservice. We can perform cost analysis by running reports to identify wasted spend on keywords and targets that have proven to be ineffective over the life of the account. We work to eliminate this wasted spend in the immediate first steps of account optimization. Then we continue to work on this throughout the life of the account. This is one of those tasks that is always associated with testing and is never truly complete. We can recommend advanced budget segmentation based on historical data that makes CPA goals more attainable within a specific segment of your budget. Essentially we are investing as heavily as possible in the known. We build a performance-oriented budget segment, then allocate the remaining budget specifically for the purpose of testing (the unknown). We optimize from there and make new budget recommendations along the way. We can do this at a high level or across individual products or services. Think of this budget as an investment in individual products or services instead of an investment in a particular channel. We can expect that search volume will change over time. There are very few evergreen products or services. Demand for a particular product or service may inflate or deflate and your PPC team needs to be prepared to react. If search volume jumps from 10 to 1,000 searches a week your budget will almost certainly be underfunded. Conversely, if volume falls off the chart, you will notice a severe reduction in business generated from this channel. Be prepared. We can expect impression share to change throughout the life of the account. If you are lucky enough to be in a market with zero competition, then a congratulations is in order. I’m willing to bet though that if you’re reading this right now, this statement doesn’t apply to you. Competition is consistently in flux in a PPC account, so you need to be prepared for the “other guys” to make an impact on your traffic at one point or another. We can expect CPCs to change, as they happen to do. The AdWords auction is designed in such a way to increase competition among advertisers resulting in higher overall CPCs over long spans of time (if you have a problem with that notion, I would argue that Google has just as much right to increase its business profits as you do). The long-term effect of increasing bids will be lost traffic within your target budget and, ultimately, lost leads or sales that accompany a volume reduction. We know that technology will evolve resulting in new outlets for users to search for your products. You need to continually evolve with the channel and test these advancements as they become available. The underlying goal here is to start thinking about your paid search account as an extension of your overall marketing plan. To often we find that clients and prospects want to throw money at the channel without first thinking about how it plays within the rest of there efforts. Make it a point to understand what you should work toward achieving over a more significant span of time. Set both realistic short-term goals and ideal long-term goals. There are really no guarantees given the volatile nature of search, so understand that it’s about using data to build a strategy that works toward making these goals a likely possibility in the long-run. If this didn’t answer your toughest question let us know in the comments or feel free to contact us today.